Here at Leisure Lounges we specialise in custom made furniture to suit your lifestyle as well as your pocket. Quality, Australian made furniture made right here in Sydney, will adorn your living room, bedroom or even your commercial lounge with the style and class you deserve. Since we specialise in custom made furniture, (Narellan) will help you design that perfect piece of furniture for your house. This is your chance to get the lounge that you have always wanted. Lounges can be designed from a picture supplied by you. If you don’t have a specific picture, you can come and see us and our friendly staff here at Leisure Lounges will help you design the perfect lounge for you and your family. You can have your lounge or even a sofa bed custom made to the size and style you desire and you can choose from a range of more than 300 different fabrics. These fabrics, leathers and vinyls are sourced from popular companies like Warwick, Zepel, Wortley, Profile, NSW leather, Italia Cuoi, Leather Italia, Designers Guild, Ralph Lauren, Today interiors, Cole and Son, William Yeoward, Eco & Boråstapeter, Titley & Marr, Gainsborough, Christian Lacroix, The Royal Collection, Great Southern Design, Voghi and Radford Leather. You can also bring any fabric of your choice and we can use it to tailormake your sofa to your taste. Leisure Lounges custom design gives you a 10 year warranty on frame, foam and support. All our frames are built from solid timber, have extra strong supports and foams that are made by Dunlop foams. Whether you like your sofa to have a firm seat or you want it to be soft and feel like it enfolds you when you sit on it, we have the material of your choice. You can choose from Dunlop’s soft foam, medium foam, hard foam or Luxura foam. 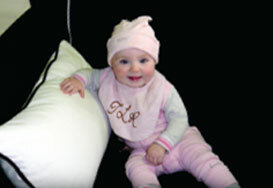 We also offer a duck feather and fibre seat and back cushion. These cushions add a level of comfort you have only dreamt of. However, we do not stop there. We do not only design sofas and lounges. We can custom make any piece of furniture your heart desires. In fact, Leisure Lounges offer some of the most unique furniture Narellan has to offer. Leisure Lounges tailor for all budgets and since we sell custom made lounges at wholesale prices, you can be assured that you get the best furniture deal Sydney has to offer. So contact us to day and let us help you design the lounge of your dreams.